Two Yemen unified in 1990, but soon war was started - South Yemen (ex. Democratic Republic of Yemen) demand a "divorce". 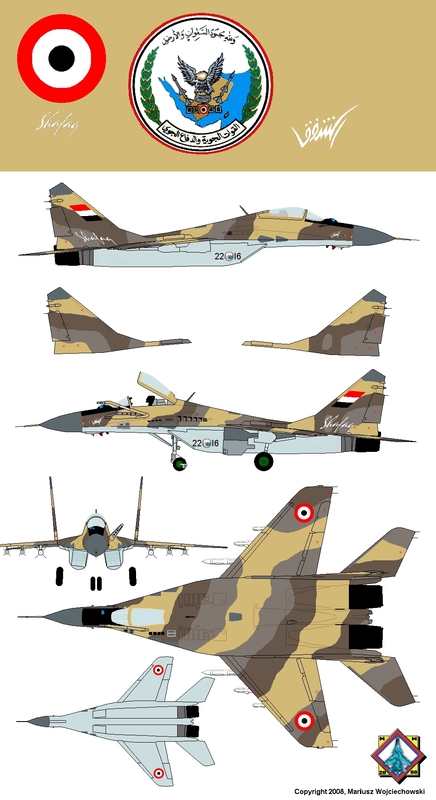 In 1994 Yemen buy 4 MiG-29 from Moldova, but only 2 of them fight against South Yemen, who loaned 12 MiG-29 from... Moldova (in 1997 returned to owner). Four MiGs remain in Yemen (Al Rayan base). 2004-2005 14 MiGs from 2001 were upgraded to SMT 9-18 and UB 9-53 standards. 2015: Sanaa's al-Daylami air base was takeover by Houthi rebels. Then begins Saudi Arabia-led military intervention, incl. Operation Decisive Storm. Yemeni air force lost some aircraft in airstrikes. 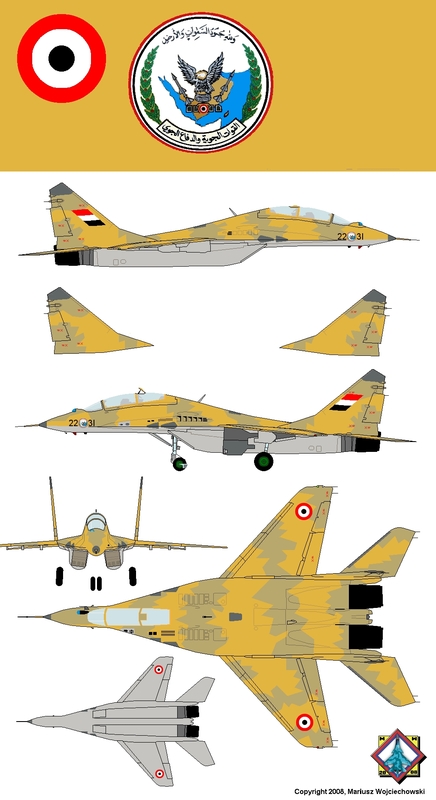 Looks that Yemen is one of the two countries having MiG-29SMT in version 9-18, rebuilded from MiG-29SE (also Eritrea). 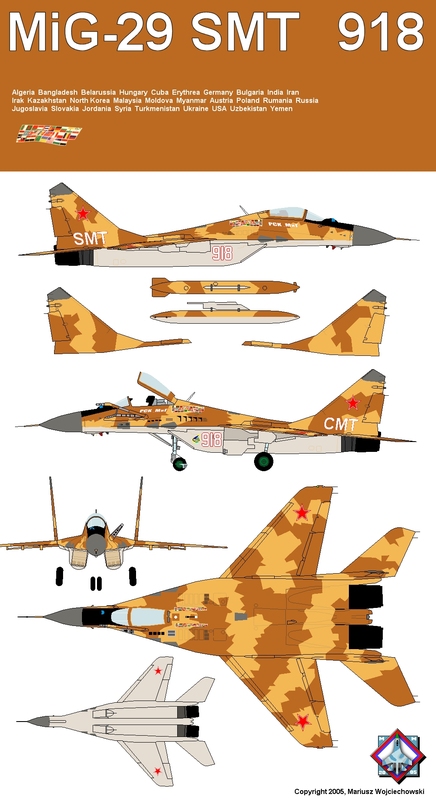 See MiG-29MST 9-18 prototype from the year 2003 to compare (note a type of camouflage also). RSK MiG, MiG-29SMT izd. 9-18, MAKS-2003, Moscov, Russia. MiG-29SMT #22-16, Yemen 2007, Sana'a airport. MiG-29UB #22-31, Yemen 2007. Splinter camouflage unlike Yemeni single-seaters.